After eschewing my preference for happy endings to such success in my last trip to the Royal Opera house to see Mayerling, I decided to repeat the experiment and try La Bayadère for another first. Armed with the knowledge that they all die in the end (spoilers, sorry), I was well prepared for potential heartbreak and took my seat reminding myself not to get too attached to any of the characters. 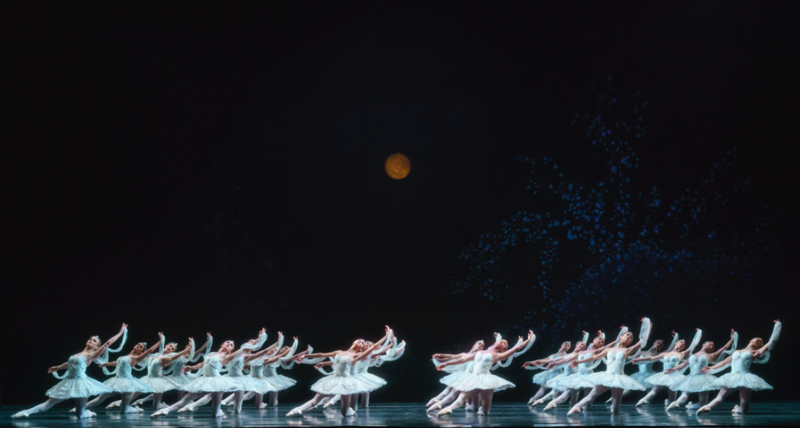 Originally performed at the Bolshoi in the 1877, this production of La Bayadère – The Temple Dancer in English- was first staged by Natalia Makarova (after Marius Petipa) for the Royal Ballet in 1989. It feels very much like all the iconic 19th century Russian story ballets (in a good way) making it comfortable viewing for me. It tells the story of Nikiya, a beautiful temple dancer, and her warrior lover Solor, who get caught up in a love triangle-come-murder plot after the High Brahmin, rejected by Nikiya, swears revenge on Solor. It’s a wonderfully nonsensical story, made even better by the entrance of Gamzatti-the daughter of the Rajah who is to be married to Solor. The cast I managed to see brought the ever wonderful Marianela Nuñez and Vadim Muntagirov (often called Vadream by his opera house colleagues) back together as the unfortunate lovers, and Natalia Osipova as Princess Gamzatti. With such big, solid names, how could the performance possibly disappoint? The sets for this production are very much in the background, especially in act two which for the most part consists only of a moonlit stage and a ramp, and for good reason too, as the costumes are beyond spectacular. There’s a nice mix of classical tutus, elegantly draped chiffon, and the bared midriffs of the artists give a rare insight into just how much athleticism and work goes into being a Royal Ballet dancer. Whilst all the costumes are beautiful, Gamzatti’s golden ensemble in act one is a particular highlight, the head dress is drool worthy on its own, but add in the rest and you have the best costume in the production hands down (and there’s some stiff competition from the tutu’s!). The music by Ludwig Minkus is filled with suitably grand lilts that sweep the dancers up as they whizz about the stage in some of the faster variations, it’s also memorable enough for me to find myself still humming it days later. Marianela is the ultimate all-rounder, able to act convincingly drunk with the joys and possibilities of love one minute, and utterly heartbroken by the news of Solor’s engagement the next, whilst still having the strength to stand up against Osipova’s power in a ballerina on ballerina showdown. Nuñez has a musicality that draws you in. Her enthusiasm and love for ballet leaps off the stage with the same ease that she leaps around it, without distracting from the character or the story and you can’t help but engage with her performance and fall in love with her when she dances. As Nikiya she is everything she should be: strong, tender and of course technically brilliant! Osipova is equally fantastic as Gamzatti to the point where you really do have to start to feel sorry for poor Solor who is given an impossible choice. Predictably, she revels in the evil, giving the audience a wonderfully wicked smirk then moments later shrugging an innocent “who? Me?”. By turns jealous then yearning then smug, Osipova quickly made Gamzatti one of my all-time favourite characters, her variations are sublime and the confrontations between Nikiya and Gamzatti are delightfully charged. 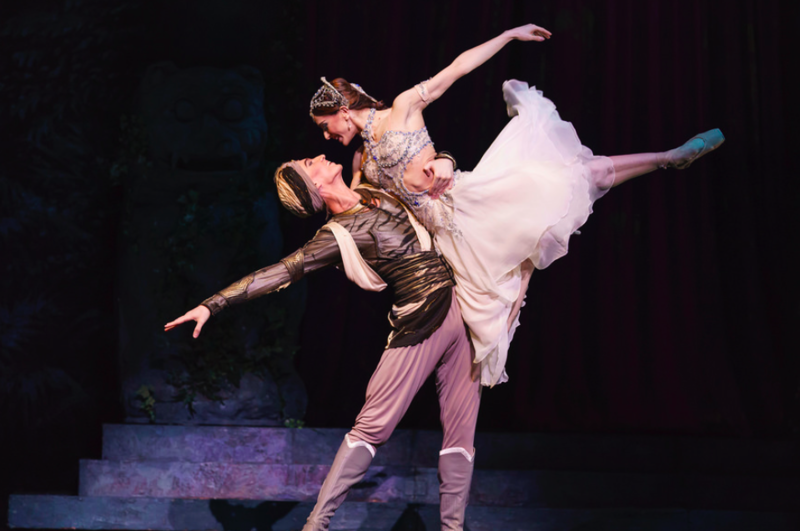 These two ballerinas are so well matched, I cannot think of a more sublime pair. Vadim Muntagirov plays a noble, if somewhat princely Solor, with some impressive solo’s but is undoubtedly (and rightly so) background to the fantastic ladies who really make this ballet worth watching. The undoubted jewel in the crown of this ballet however in in act two when we enter the Kingdom of the Shades. Everything else pales in comparison when you see the Corps de Ballet dancing this piece. It feels like an age since we last saw the corps properly on stage doing what they do best, but goodness was it worth the wait! The whole piece looks deceptively simple, leaving the dancers somewhat exposed and therefore pushes every single lady to achieve complete perfection. The Shades enter with approximately 39 arabesques, which is impressive in itself, however that is nothing compared to watching a stage full of Shades sharing every breath, every move and every line simultaneous and perfect. For all the gasp-worthy tricks the Principals are given, it is this scene which truly leaves you with goosebumps, and it is why the Corps deserves the biggest round of applause at the end of the night. La Bayadère runs until the 17th of November, with rush tickets released at 1pm on Friday’s the week before for sold out performances, and a live cinema screening on the 13th. Sign up for free to Young ROH for student pricing and deals on cinema screening tickets. 5/5 just for the corps! ← Mayerling Review – Dark, Dangerous and Utterly Thrilling.